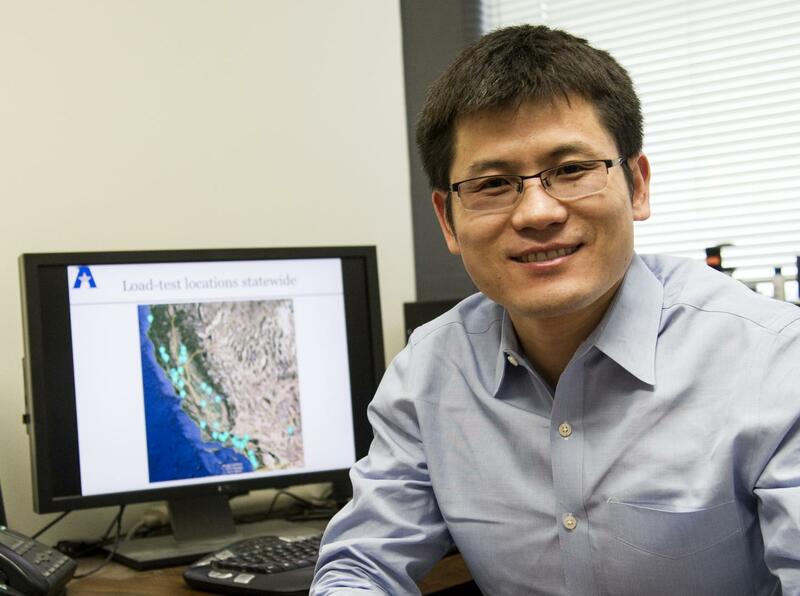 Xinbao Yu, an assistant professor of civil engineering, is the lead investigator on a two-year, $743,000 award from the Texas Department of Transportation. The funding is phase II of a TxDOT Innovation Project that began with a $193,000 phase I award in 2015 and will use lab-scale models to test the findings from the first phase. Anand Puppala, a professor in the Civil Engineering Department and associate dean of research in the College of Engineering, is co-principal investigator on the project. Postdoctoral fellow Aravind Pedarla and two of Puppala's doctoral students will contribute as well. The team is working on this research through UTA's Organized Research Center of Excellence on Sustainable and Resilient Civil Infrastructure, which explores and develops research solutions for better design and construction of sustainable and resilient civil infrastructure in a complex, natural, and man-made hazardous environment. During the first phase of the project, Yu and Puppala's review of existing research found that most places that use geothermal energy to warm bridge decks install the heating elements internally during construction because it is easier to implement the technology then. TxDOT, however, identified existing bridges as its area of greatest need, so the researchers will focus on creating new technology that will allow them to add geothermal heating to the undersides of bridges and overpasses instead. "We are looking for an alternative for deicing solution or sand. Those are costly, troublesome to use, and hard on roads and vehicles. We will look at the long-term cost benefits of using geothermal energy to melt icy roads, as well as the initial costs and environmental impact, and I am confident that our proposals will be preferable to current standards," Yu said. The research is just one example of how UTA contributes to sustainable urban communities, a theme of the university's Strategic Plan 2020: Bold Solutions | Global Impact, said Engineering Dean Peter Crouch. "Our national infrastructure is a continuing concern, and the research that Dr. Yu and Dr. Puppala have undertaken shows great promise for extending the life of our roads and lessening the environmental impact of making those roads safe during winter conditions," Crouch said.